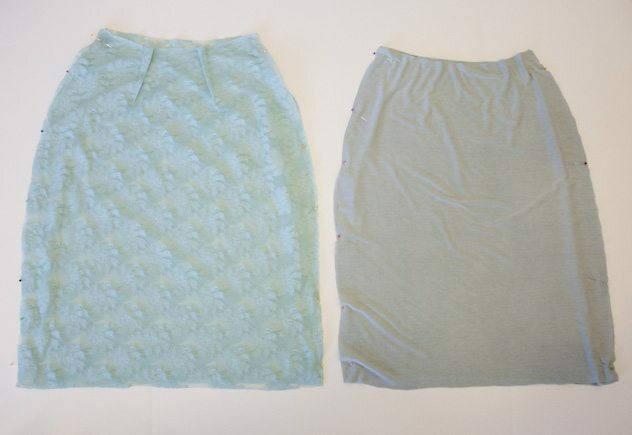 With stretchy lace and some jersey knit, this skirt may look dressy, but is so easy to pull on (no zipper!) and stretches with you as you move. Perfect for church, where you are dressed like you plan on sitting still for multiple hours, but end up bending, squatting, lifting 30 lb children, and sweating. All while trying to keep your knees together and your heels on. I snagged this lace down in LA for $2 a yard. For a year it just sat in my fabric closet being stared at and caressed (serious), but never cut into and sewn. I needed the right color to wear under it. 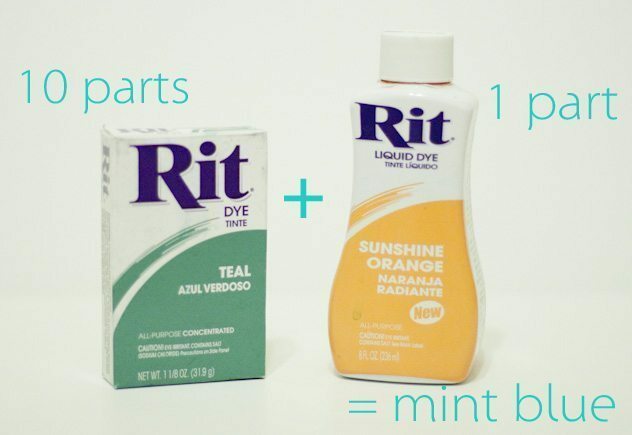 Finally I just decided to dye some white jersey myself to get the color that I needed, using this technique. 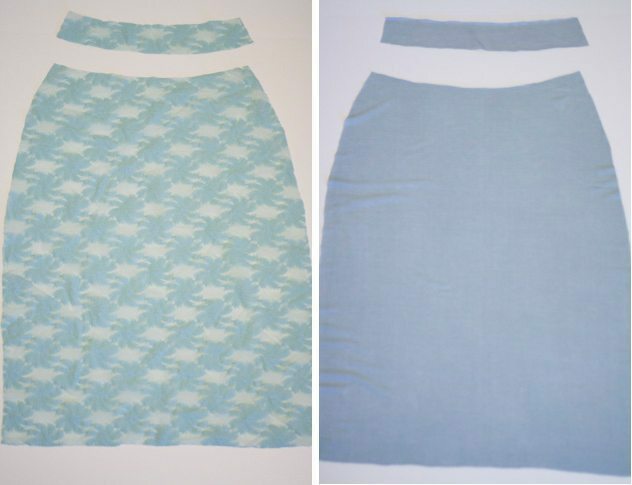 Start by using an existing pencil skirt as a pattern and trace all pieces to the skirt using some tracing paper. 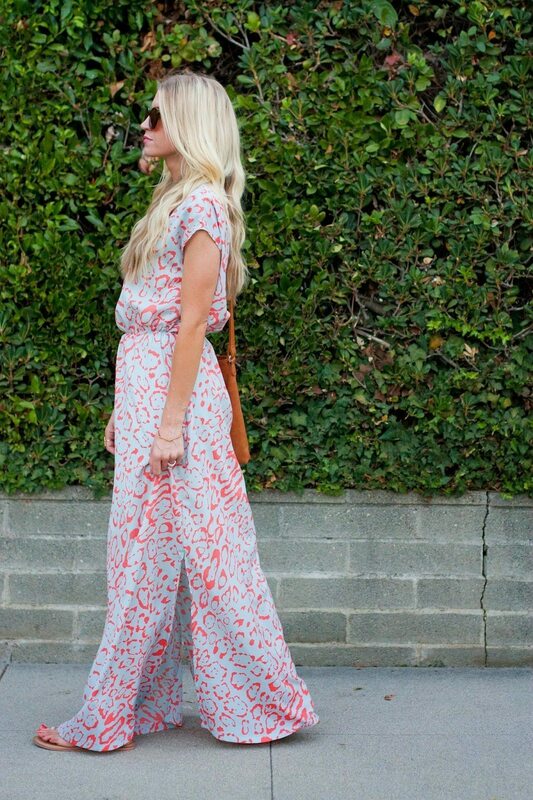 Make sure to leave room for seam allowances and length for hemming. 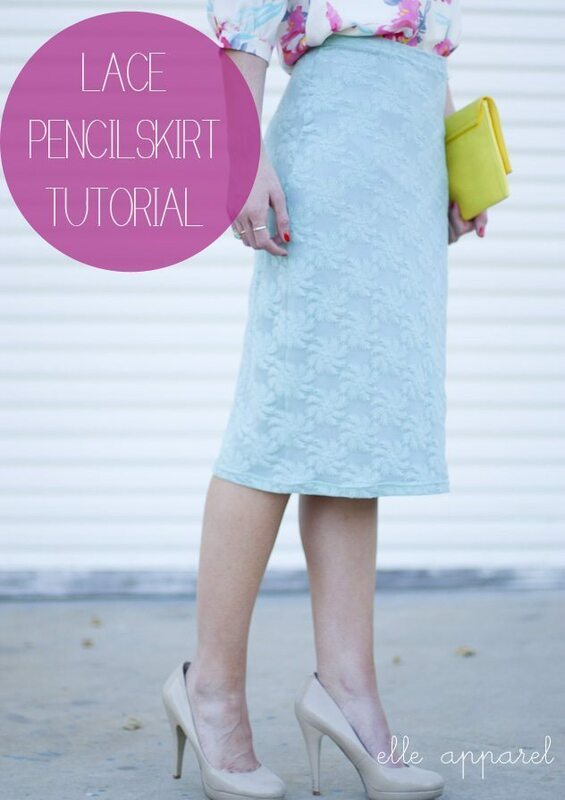 Cut out the pattern for your skirt twice, with the lace and with the knit. *word to the wise: I ironed my pieces flat, seam allowances flat, when hemming, etc. Make sure that your iron isn’t too hot! 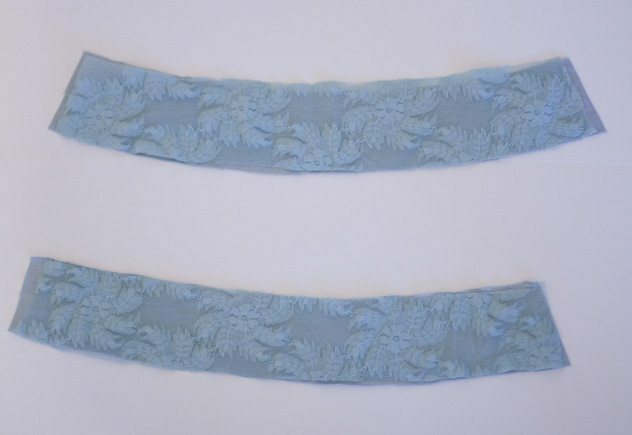 Test out on a section of extra lace before ironing because if it is too hot it will melt the fabric. Lay the top and underlay waistband pieces on top of each other, then stitch up the sides, right sides together. 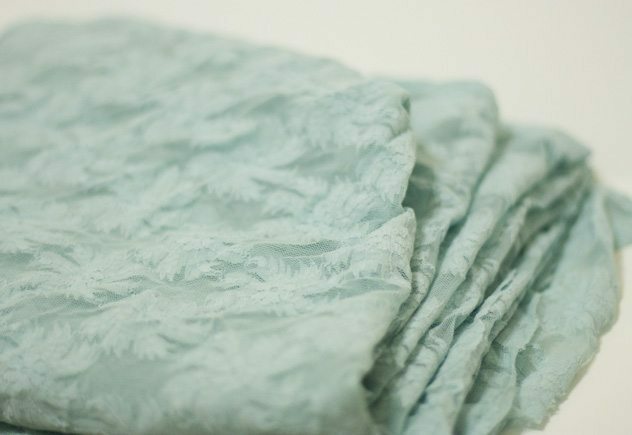 Stitch up the sides of the lace and underlay skirt sections separately. 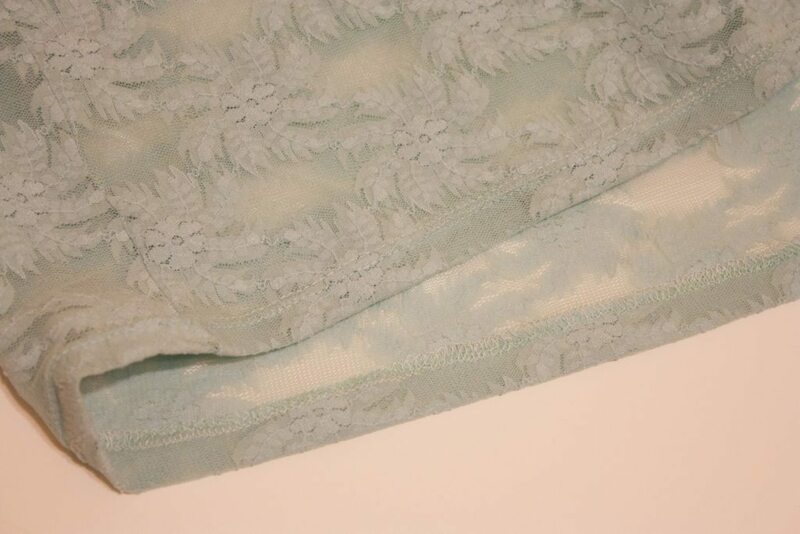 Slide the lace skirt section over the underlay. 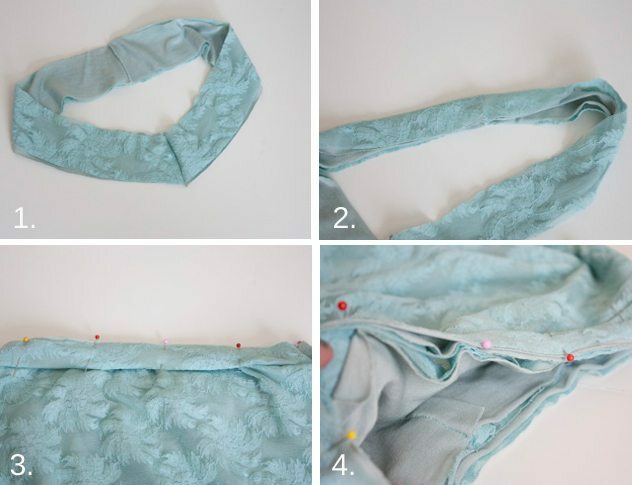 Fold the bottom of the skirt under (mine was 3/4″) and stitch with single or double needle. Make sure to do this to the lace and underlay sections separately. Enjoy! Comment or email me with any questions! 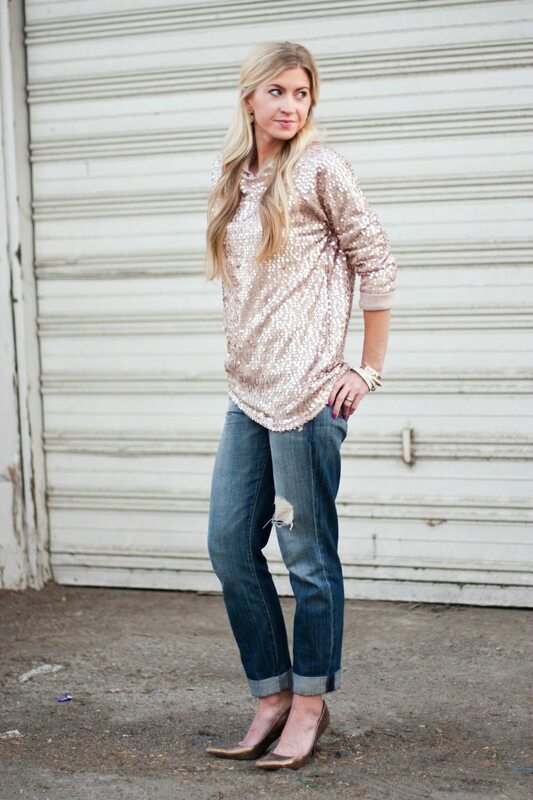 Don’t forget to enter the Shoemint giveaway! It ends tonight! !